If you own a business, then you most likely also have a website advertising your products and services. This website, you may think, advertises your business online so that you don’t have to burden yourself with “sales and marketing”. But do you know this for a fact? When you hear the word “marketing”, what are you thinking of? People in slick suits luring in unsuspecting victims and finding clever ways to stop just short of lying in order to sell a product? If this is how you see marketing, then it’s time to take a fresh look at the concept, since much has changed just in the past decade. Consumers are more savvy than ever these days, and they know a sleazy sales pitch when they hear it. Marketing is about much more than getting the sale; it’s about building relationships so effectively that your products sell themselves – not only because people need what you have to offer, but also because they feel an affinity with your company or brand. As a business owner, you of all people know just how well you can deliver the goods as compared with the competition. In order to get people to come to you instead of the competition, they have to have a positive association or, more specifically, a feeling of kinship that will make them happy to pay for your products and services and happy that they’re available in the first place. One of the easiest, most cost-effective ways to do this is through social media. Social media are much more than a means through which to expand an advertising campaign; it’s an opportunity to interact with current and future clients that simply did not exist in years past. Smart business owners know that the way to build and maintain relationships with their clientele in today’s online world is by personalising the experience and by addressing specific consumer needs and wants. In other words, you want to cultivate the “you” view and make it all about your client. Doing so lets her know that you’re in the business of helping her to live a better life as a result of what you are offering. Business owners looking to increase their online visibility should pursue all options related to social media as one facet of a broader Internet marketing campaign that also includes search engine optimisation, or SEO, in order to have the greatest possible impact. Direct Submit Internet Marketing Services will help you make the most of your Internet marketing options and work with you using language you can understand. If you want to increase sales through effective Internet marketing but are at a loss as to where to begin, let Direct Submit develop a tailor-made Internet marketing campaign that will maximise your available resources at a fraction of the cost associated with more traditional forms of advertising. For more information, call us today on 0845 272 2350 or visit the Direct Submit website. The BBC news website is reporting that data that helped hackers access Sony’s internal network came from another group targeting the firm’s gaming network, reports the Washington Post. In an interview, a self-proclaimed Lizard Squad member said it had given stolen data to the Guardians of Peace. The GoP has carried out several attacks on Sony in a bid to halt the release of comedy film The Interview. By contrast, the Lizard Squad targeted Sony’s PlayStation network knocking it offline on Christmas Day. The man interviewed by the newspaper appears to one of the two members who spoke to the BBC last week. In the interview, the self-identified senior member of Lizard Squad said his group knew people that were part of GoP. Despite the connection, the spokesman said Lizard Squad did not play a “large part” in the attacks the GoP mounted against Sony. GoP’s attacks involved exposing confidential information about many Sony employees and sharing thousands of emails sent between employees, film stars and movie makers. PSN error message PlayStation Network members were confronted with error messages when trying to access the online service. The Lizard Squad member said his group “handed over some Sony employee logins” that were used by GoP to get its initial attack underway. The admission is the first acknowledgement by the Lizard Squad of its connection to GoP. The information throws some doubt on the theory that North Korea was behind the attacks on Sony’s internal systems. The state was accused of being behind the hack by the FBI because The Interview is about a fictional American plot to kill North Korean leader Kim Jong-un, and Pyongyang has filed formal complaints about the film. However, the Reuters news agency has reported that US investigators are exploring whether North Korea “contracted out” some of the work involved, which could explain how Lizard Squad formed links to GoP. The Lizard Squad spokesperson did not elaborate on how the group got hold of the login information for Sony employees. However, it is possible it found or uncovered them while searching for ways to attack the PlayStation gaming network. The Lizard Squad has repeatedly attacked Sony’s network and many others during 2014. On Christmas Day it managed to disrupt it and the Xbox Live network for hours leaving many gamers unable to log in. The spokesperson said the attacks were carried out to expose the “massive security issues” many large companies suffer. “The customers of these companies should be rather worried,” they said. The attacks on the PlayStation and Xbox networks have now stopped thanks to the intervention of tech entrepreneur Kim Dotcom. Instead, the group has switched its attention to the Tor network which has taken steps to limit the effect the Lizard Squad can have on the system. Happy Christmas and a prosperous New Year to all of our visitors from everyone here at Promoting Business. Let’s hope 2015 is a great year for all of us. Almost 60% of small firms do not have plans in place for extreme weather – despite two thirds having been affected by snow, drought or floods in the last three years a survey suggests. The Federation of Small Businesses, which commissioned the research, said firms “need to get better prepared”. The survey also found 29% of small firms did not have insurance for loss of income or damage caused by flooding. A total of 1,199 federation members took part in the survey. It found 59% of small businesses had “no resilience plans to combat extreme weather”. The federation said damage caused by widespread flooding last year cost firms in affected areas an average of £1,531. He said he was “concerned” that small businesses would not be included in the government’s Flood Re-agreement – a fund being set up to ensure people living in areas with a high risk of flooding can get affordable home insurance. “Firms need to be reassured that affordable flood insurance will be available in the future,” Mr Cherry added. Of the businesses in the survey which said they had been affected by extreme weather, 46% said they experienced disruption to staff and customers, while 32% said suppliers, utilities or transport arrangements were disrupted. The federation advised firms to check Environment Agency guidance on preparing for flooding. UK retail sales rose at their fastest annual rate in more than 10 years in November, thanks to the effects of Black Friday. They rose 6.4% compared with November last year, the highest annual increase since May 2004. On a monthly basis they rose by 1.6%, with growth in all areas for the first time since December 2013. US-style discounts for Black Friday took off in the UK this year, with stores seeing record sales. Average store prices fell by 2% in compared with last year, the Office for National Statistics said, the largest fall since August 2002, mainly due to the large drop in petrol prices. Workers on zero-hours contracts earn nearly £300 a week less than permanent employees, according to a new report. Average weekly earnings for zero-hour workers are £188, compared with £479 for permanent staff, found the report by union organisation the TUC. The ONS has estimated there are 1.4 million contracts with no guaranteed minimum hours. The contracts mean employees work only when they are needed by employers, often at short notice. Their pay depends on how often they work. The TUC said its research also found that zero-hours workers were five times more likely to not qualify for statutory sick pay than permanent workers due to their lower level of pay. “If the UK doesn’t create more well paid jobs with regular hours we will continue to have a two-tier workforce where many people are stuck in working poverty,” said TUC General Secretary Frances O’Grady. The TUC has published the report to coincide with the start of its Decent Job Weeks campaign, which it says aims to highlight the millions of people in the UK “trapped in low-paid and insecure work”. 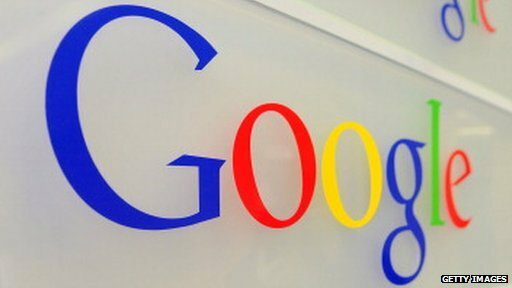 Tech giant Google has confirmed reports that it plans to move engineers out of its office in Russia. The firm said it “remains committed” to Google users in the country and told the BBC it has relocated engineers in other countries on previous occasions. Google declined to say how many staff would be affected by the move. In July this year, the Russian parliament passed a law requiring internet companies to store citizens’ personal data inside the country. The Kremlin has said the law is designed to aid data protection but critics have seen it as an attempt to censor internet access as the law would give the government powers to block sites which refused to comply. Many tech companies store user data in huge data storage facilities around the world and do not link the location of the data to the location of the user, meaning that most users’ data will not be kept in the same country as them. Google will retain some staff including sales, marketing and support teams in its Russia office, according to the Wall Street Journal. “”We are deeply committed to our Russian users and customers and we have a dedicated team in Russia working to support them,” said the firm in a statement. Companies should be fined £500,000 in order to combat “out of control” nuisance calls, a government taskforce has recommended. It also wants company directors to be held responsible for unwanted phone calls from their businesses. The taskforce has recommended that the threshold at which regulators are able to act on complaints should be lowered. The Nuisance Calls Task Force said cold-callers should not cause “severe distress” to consumers. Payment Protection Insurance (PPI) cold-callers could face fines of up to 20% of their annual turnover under the proposals and Ofcom and the Information Commissioner’s Office (ICO) will be able to share information on rogue companies. Up to one billion unwanted phone calls are received by members of the public in the UK each year, the taskforce said. Which? executive director and taskforce chairman Richard Lloyd said many British firms were “breaking the law”. He said companies that were contacting people despite their having “opted out” of receiving direct marketing calls were acting illegally. He told BBC Radio 4’s Today programme the way in which the law was enforced had not been good enough. Mr Lloyd said the trade in personal data, responsible for the vast majority of nuisance calls, was “out of control”, adding that the “market in personal data needs properly investigating and sorting out”. He also called on regulators to clamp down on the abuse of existing legislation. “We want to see business with good reputations that aren’t keeping a close enough eye on this making sure that there is someone senior on their board who will be held to account if those nuisance calls are being generated by that businesses activity,” Mr Lloyd said. Between April and June this year, 40,000 people complained to the Information Commissioner about unwanted live or automated calls to their phones. Most focused on accident or PPI claims, as well as some debt consolidation company calls. The Nuisance Call Task Force said many consumers did not know that they had unwittingly given their consent to be contacted by these companies. Direct Submit are now working with Premier Electrical Supplies (Newcastle) who can supply all your electrical needs directly using our delivery vehicles, with direct deliveries throughout Newcastle and the North East. Their new website is now live and provides access to a catalogue of electrical supplies including cables, light fittings, power tools, fuse boxes, test instrument and much more. For more information on how we are able to assist you make more of your website, please call Direct Submit now on 0845 2722350 or visit our website.